The Embassy of Japan in the Philippines, under the astute leadership of Ambassador of Japan Koji Haneda with the support of his wife Ihoko Haneda, recently welcomed Saga Prefecture, Kyushu, Japan governor Yoshinori Yamaguchi at the ambassador’s residence in Makati City. Together, ambassador Haneda and governor Yamaguchi co-hosted a reception aptly en- titled The Sights, Sounds and Tastes of Saga. It was a celebration of Saga’s breathtaking tourist spots, delectable cuisine and the goal of expanding inbound tourism through the film commission in the Philippines. 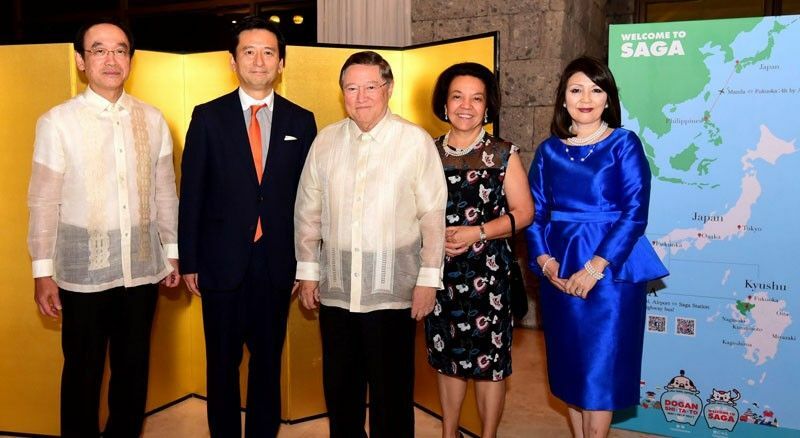 Among other distinguished guests showing their support were Finance Secretary Carlos Dominguez and his wife Cynthia who were appointed as Saga Prefecture Japan International Goodwill Ambassadors by governor Yamaguchi during the reception. Congratulations to Ambassador Koji Haneda for a successful affair, and doumo arigatou to Governor Yoshinori Yamaguchi for visiting our country! Special thanks to the embassy of Japan for the event photos. Robinsons Land Corp. in partnership with the University of Santo Tomas (UST)-College of Fine Arts and Design (CFAD), successfully launched its very first art competition featuring the works of up and coming young Filipino artists. 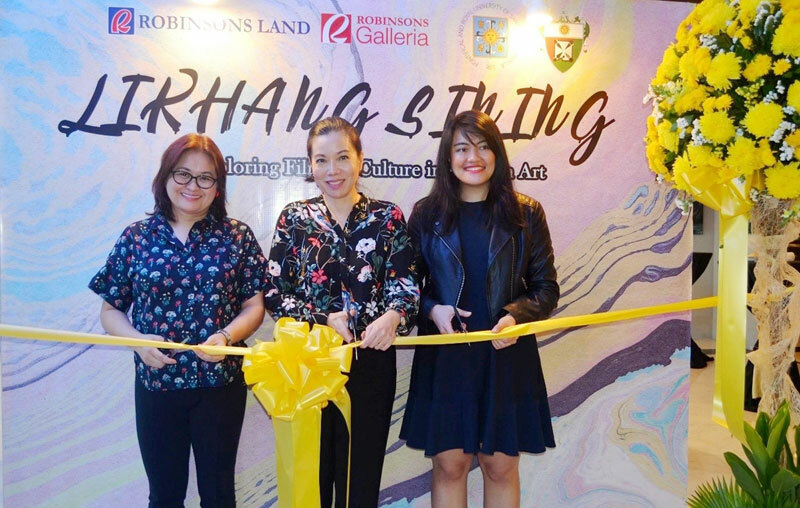 Held at the Level 3 Veranda of Robinsons Galleria, the competition dubbed Likhang Sining: Exploring Filipino Culture in Modern Art was mounted to promote arts to the youth. RLC invited students from UST-CFAD to put their individual artistic expression on canvas in order to promote the beauty and richness of Filipino culture. Using only acrylic as medium, the students were able to vividly create im- ages of the country’s majestic sceneries and its profound history and traditions. Congratulations to Robinsons Land Corporation and the University of Santo Tomas-College of Fine Arts and Design for a momentous collaboration! 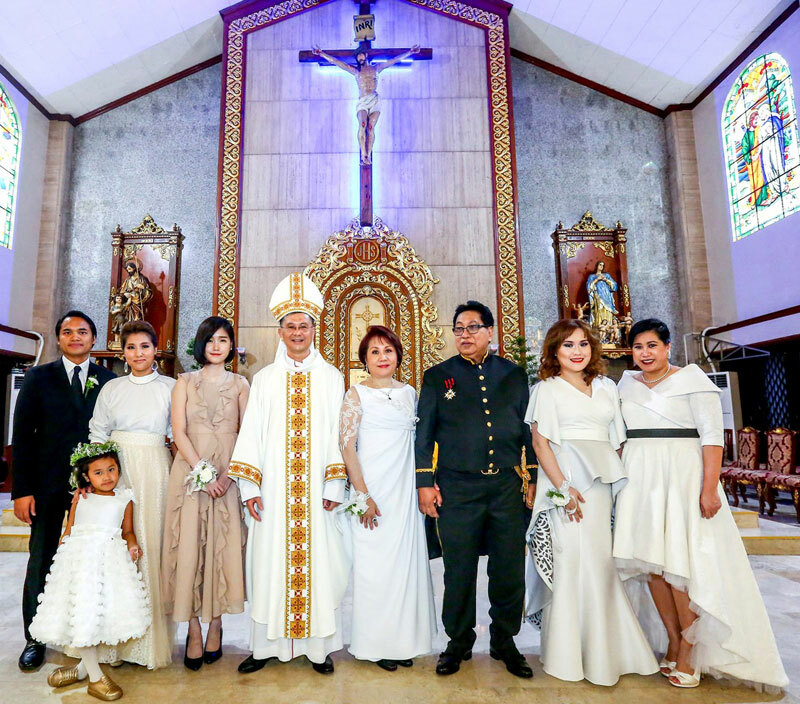 Dr. Gregorio Pastorfide, an obstetrician- gynecologist by profession, was recently bestowed a papal award called Knights of Silvester at Christ the King Church in Quezon City. Surrounded by his family and friends, Dr. Pastorfide was granted an award for his tireless commitment to women’s health and reproductive wellness throughout the coun- try. Congratulations!